Nicosia– Vonpende Holdings P.L.C. is thrilled to announce its sponsorship of ETHA ENGOMIS, a leading Nicosia sports club, which took place in August 2017. As part of the company’s wider social responsibility policy, the Board of Directors of Vonpende Holdings P.L.C. 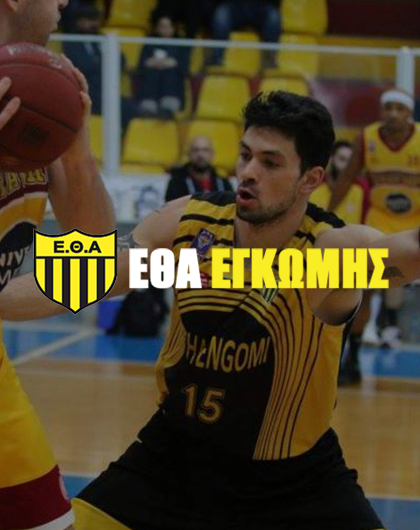 authorized earlier in the month the sponsorship of ETHA ENGOMIS, a leading Nicosia sports club, joining a list of reputable companies that already support the Club. ETHA ENGOMIS was formed in 1946 with the aim of promoting basketball games and adding to the advancement of the cultural and sport sectors of Nicosia. Since, its formation, ETHA ENGOMIS has been promoting sports as a means of exercise and fair play among the young and adults alike. The Club maintains basketball academies for boys and girls while it participates in men and women’s basketball championships under the auspices of the Cyprus Basketball Federation. The Club’s teams are currently featuring in the primary league. Most notably, the ETHA ENGOMIS Women’s Basketball Club will be hosting the Munich Women’s Basketball Club for a tournament in November 2017. „We are proud to align our corporate social responsibility initiatives with the promotion of sports and fair play in our community, by supporting the Women’s Basketball team of ETHA ENGOMIS” stated Ms. Stella Koukounis, who serves as a Director in the Board of Vonpende Holdings P.L.C. Vonpende Holdings P.L.C. operates from its headquarters in Nicosia. It is publicly listed with the Cyprus Stock Exchange, and it focuses in investments in securities, financial instruments and the real estate sector.